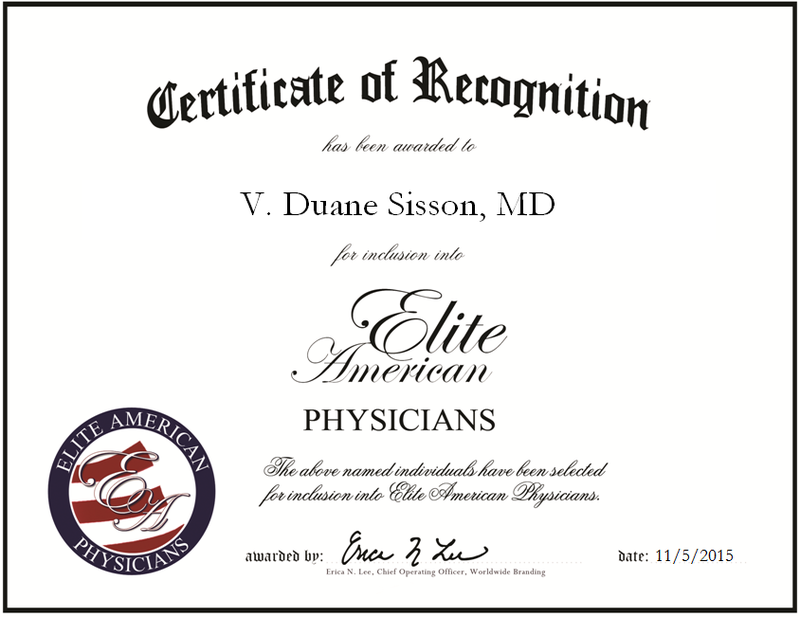 Highland, CA, November 5, 2015, Dr. V. Duane Sisson, Medical Director, has been recognized by Elite American Physicians for dedication, achievements and leadership in general medicine. For 53 years, Dr. Sisson has provided quality care to patients in the San Bernardino region. As a private medical director, he treats acute and chronic illnesses while also providing preventive care and health education to his patients. Passionate for all areas of his work, he demonstrates an ability to identify and diagnose general illnesses while also referring patients to specialists when appropriate. Board certified by the state of California, Dr. Sisson was named Professional of the Year in recognition of his excellence. Dr. Sisson earned an MD from the University of Missouri School of Medicine prior to establishing his career. He completed his internship and residency with Truman Medical Center – West. In his career he has worked with the Victor Valley Community Hospital, the Community Hospital of San Bernardino and the Robert H. Ballard Rehabilitation Hospital. Most recently, he worked for Baseline Medical Clinic in a physician role. Dr. Sisson was originally selected for inclusion in EliteAMERICAN Physicians in 2014. 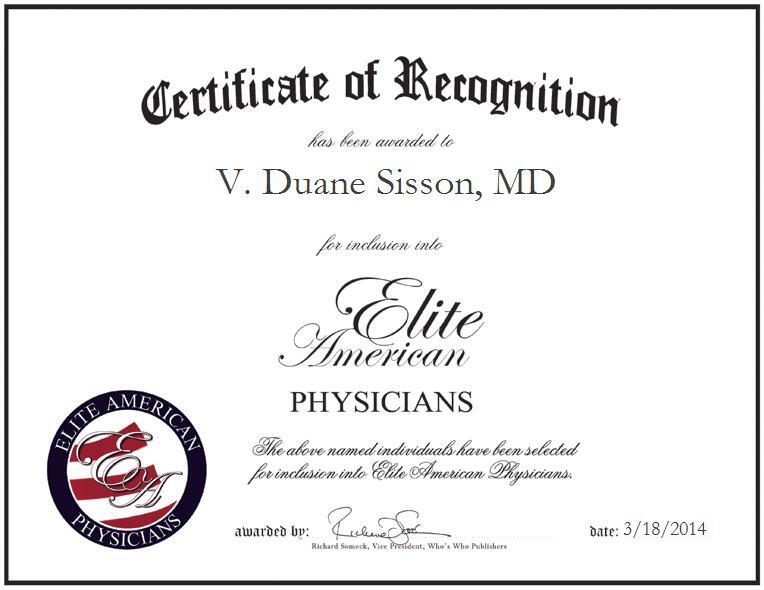 We are proud to be featuring Dr. Sisson again in EliteAMERICAN Physicians for 2015/2016. This entry was posted in General Practitioner and tagged diagnosis and treat, health education, medical director, patient care, private medical doctor. Bookmark the permalink.